Can your Seder plate be made vegan? Four of the six items on the Seder plate are vegan to begin with: matzah, charoset, maror (bitter herbs), and karpas (vegetables). These four items are used during the Seder. The other two -- zeroa (shankbone) and baytzah (hard-boiled egg) -- are not used during the Seder and can thus be replaced with cruelty-free substitutions. 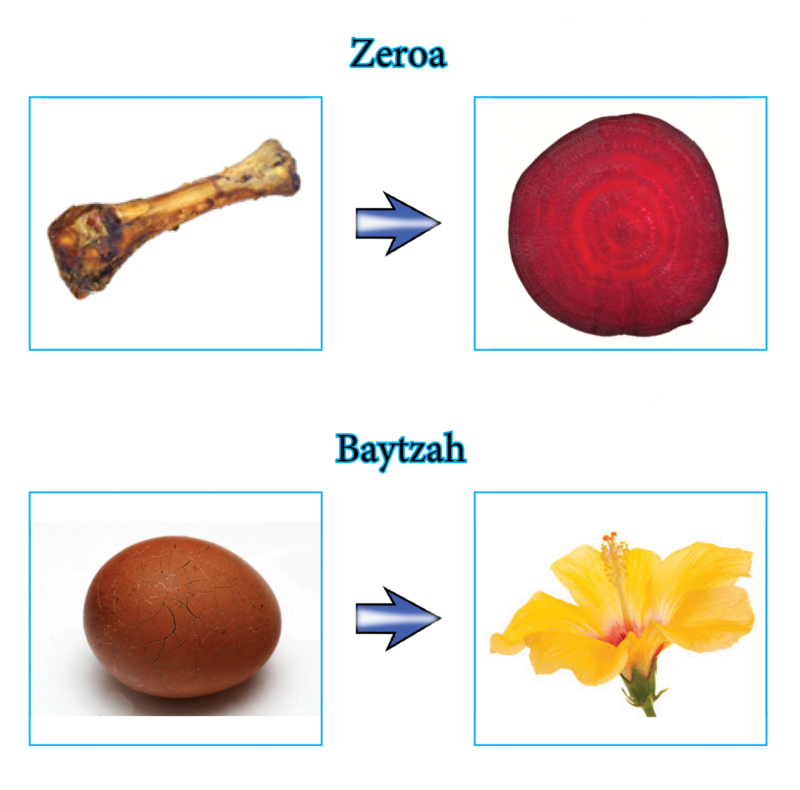 In the case of zeroa, The Talmud mentions that one of the sages, Rav Huna, used a beet to symbolize the Passover lamb (1). Therefore, some vegetarians and vegans emulate this custom. In the case of baytzah, it's slightly more complicated. If you view the hard-boiled egg as a symbol of fertility and renewal, then a flower or other symbol of spring can be used as a substitute. Some Jews, however, interpret the baytzah as a symbol of the Temple sacrifices, in which case a mushroom may be a suitable substitute. A third interpretation views the baytzah as a symbol of mourning for the destruction of the First and Second Temples, which makes finding a meaningful animal-free substitution less obvious. That said, because the baytzah is not used during the Seder, you are not required by Torah or Jewish law to use an egg. In fact, the aforementioned sage Rav Huna used rice as a substitute (1), although that would not be suitable for modern Jews who don't eat kitniyot.